The boy did in fact survive the war and became a truck driver. In the photo he’s sitting outside where his house used to be. 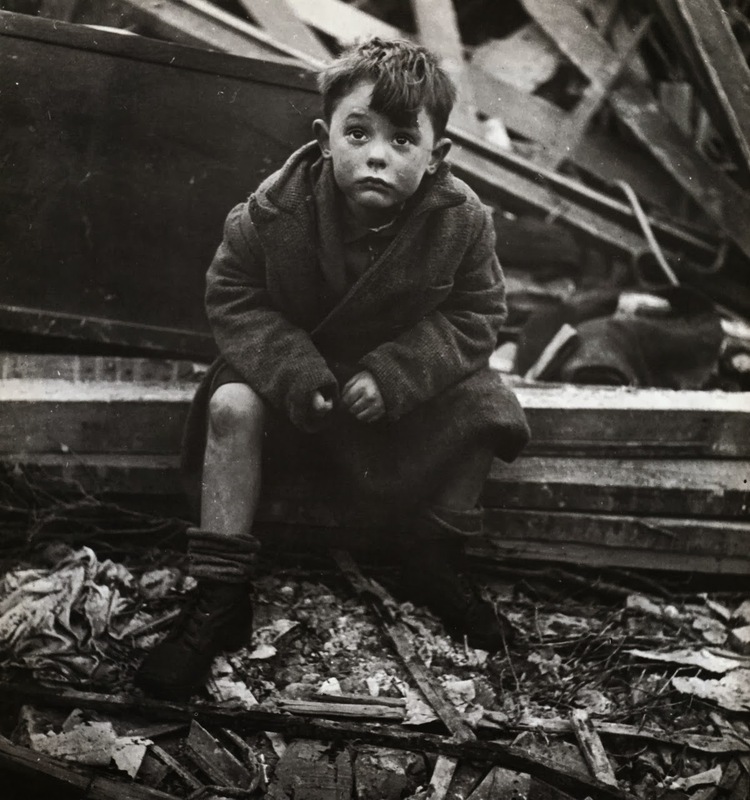 Photographer Toni Frissell regarding this picture: “I was told he had come back from playing and found his house a shambles—his mother, father and brother dead under the rubble…he was looking up at the sky, his face an expression of both confusion and defiance. The defiance made him look like a young Winston Churchill. This photograph was used by IBM to publicize a show in London. 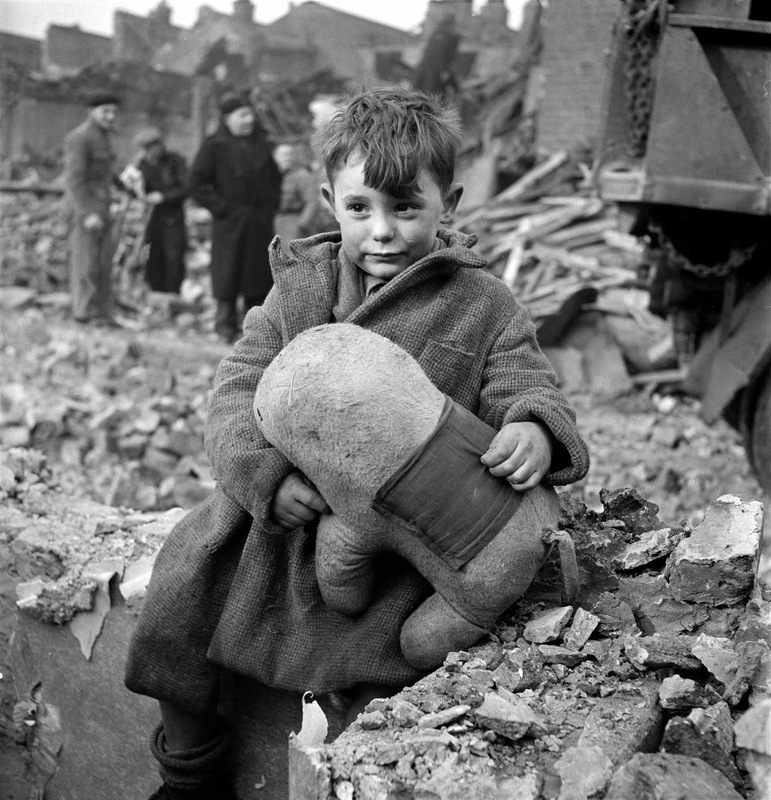 The boy grew up to become a truck driver after the war, and walking past the IBM offices, he recognized his picture”. Colorized version of the picture. Nazi Germany continued to bomb London up until 1945 using a variety of delivery methods including V-1 and V-2 rockets. In total 1,115 V-2s were fired at the United Kingdom. The vast majority of them were aimed at London, though about 40 targeted (and missed) Norwich. They killed an estimated 2,754 people in London with another 6,523 injured. A further 2,917 service personnel were killed as a result of the V weapon campaign. Since the V-2 was supersonic and could not be heard (and was rarely seen) as it approached the target, its psychological effect “suffered in comparison to the V-1”. In terms of casualties their effects had been less than their inventors hoped or their victims feared, though the damage to property was extensive, with 20,000 houses a day being damaged at the height of the campaign. Thanks for pointing it out, we updated the description. my pleasure,actually i was just searching about the name of this boy,just for curiosity reason. If the child's parents are dead in the rubble under his house, he isn't exactly "abandoned," he would be "orphaned." This young lad's face in the lower picture is included in the opening credits of ITV's World at War series from 1973. I have a still shot of it if you would like it. 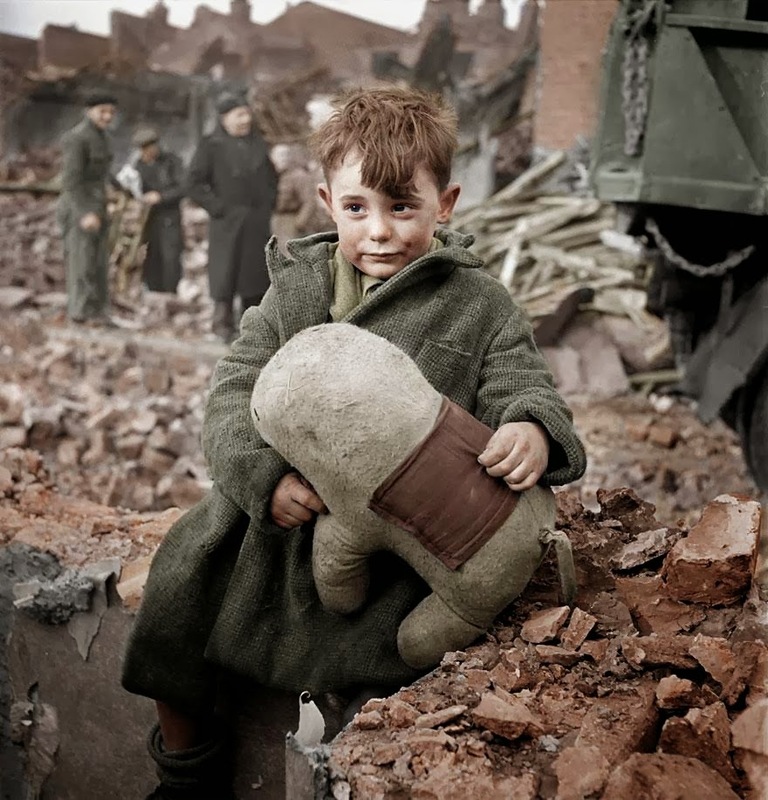 I have watched the World at War series several times and the haunting image of this lad has resonated so deeply for me.I am so relieved he survived the war but also tragic he lost his family. This young innocent boy's image hunts me. I mean it touched my heart very deeply. In a blink of an eye he lost his whole family and his house and became orphaned. I wonder who had looked after him? I was relieved to know that he had survived the war and became a truck driver. However I would still love to know more about him. Please.